Life is harsh and lonely for a bounty hunter. Always chasing criminals can be highly dangerous and risky. But for this bounty hunter returning to the town that she grew up in feels even more risky. Whilst resting up after being shot she meets the gorgeous Rawley, sheriff of the town but they do not get off to the best start and their personalities clash every time they speak. All Lacy wants to do is capture the bad guys, collect her bounty and then move on. But things start to get complicated when people from the town start to like her and care about what happens to Lacy. Rawley too has other ideas, after spending some time with Lacy he realises that he cares for her and offers her a job. Lacy cares for him too but refuses to admit it scared of what it means and too scared that somebody will find out the secret from her past, she runs again. Will she ever return or is the last that they will ever see of Lacy Watson? 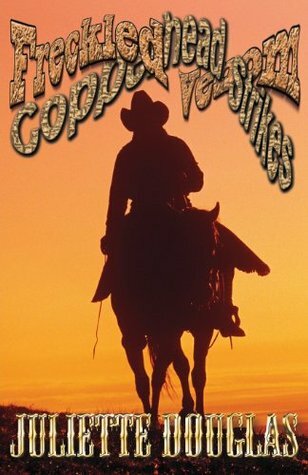 Freckled Venom - Copperhead by Juliette Douglas is a very interesting western. The characters are well written each with their own quirky, charming personalities. The storyline is intriguing and will keep you hooked until the very end. Even though this was not a genre I normally read, I wanted to try something new. 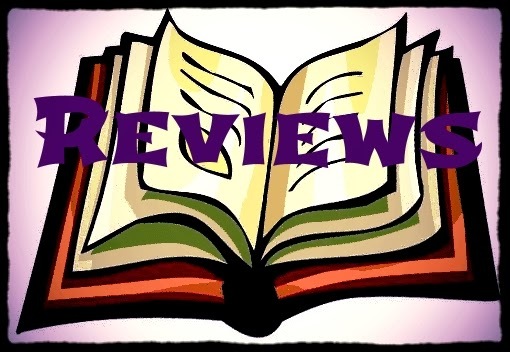 I was not disappointed; the book kept me completely engrossed and I could not put it down. Book two of the Freckled Venom series, Copperhead Strikes, is just as action packed and enthralling as the first. We see all of the old characters, including the feisty deputy Lacy and her gorgeous Sheriff Rawley Lovett. Lacy has to fight a lot of demons from her past in this book and she does it extremely well even though her anger over took her terrifyingly and one scene left me feeling satisfied that that the villain got his ‘just desserts’. Throughout the book we meet several characters from both Rawley's and Lacy’s past some nice but others not so nice. 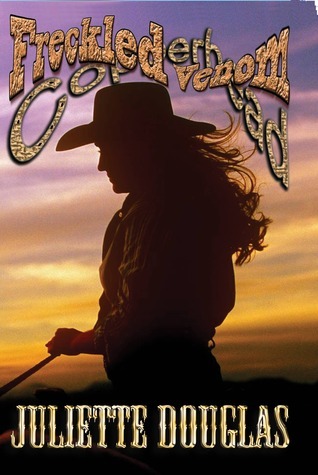 An encounter with a criminal from Rawley's past leaves Rawley with a gun shot wound and Lacy finally admits to herself that she loves him, but will she ever tell him? When an old criminal that Lacy had captured in the past returns looking for her, he puts the whole town in danger, and Lacy shows a lot of fear of this man and for her friends. Freckled Venom - Copperhead Strikes again was written wonderfully and it will grip you from the ‘get go’. The storyline is charming and does touch on a sensitive subject but does so excellently. The characters once again were written beautifully and I got to love their quirks, charms, feistiness and even Doc's grumpiness! I loved the way that the relationship between the two main characters was written, it took them ages to tell each other how they really feel but it was never boring! Shocking twist at the end that I did not see coming. I am very much looking forward to the next book to see what lies in store for the lovable characters. Girl Who Reads is an Amazon advertising affiliate; a small fee is earned when purchases are made at Amazon through the links above. Free books were provided for the review.